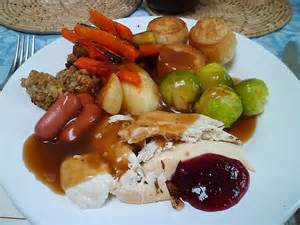 Christmas time is traditionally known for over indulging with plates piled high with a host of vegetables, a wealth of turkey and all the 'sides' like stuffing, cranberry jelly and 'pigs-in-blankets'. However, if you look around any eatery, fast-food outlet, coffee bar or street-food vendor at any time of year, you will witness us Brits gorging on tons of food. Isn't it time we went back to 'basic' eating again? I'm not a fan of the food writer AA Gill, finding his restaurant reviews pompous and self-opinionating, yet his article, 'The full story' in the Sunday Times yesterday, had all the hallmarks of commonsense and logic when it comes to eating. It is too long an article to share completely, but here are some salient points that deserve a wider audience. 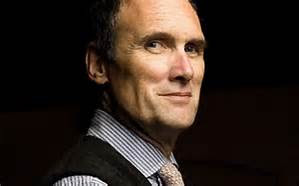 AA Gill begins by proposing smaller plates as a means of tackling the answer to the UK's growing obesity problem - 'In essence, a doll's tea-party picnic set'. He say that there have been interesting studies made about food conception and perception. 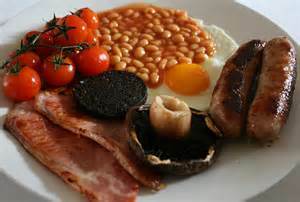 For example, if you offer people a full English breakfast, they'll clear the plates. The next morning, if you blindfold them and offer that same and tell them to eat until they've had enough, most will stop long before the plate is cleared; some will eat only half as much. The visual imperative to eat what's in front of you overrides your less-insistent, though more important, inherited sense of being full. I was brought-up to always finish every morsel of food on my plate! Gill goes on to say what we all know, that over the years, portions of food have grown exponentially. Some say that we have copied our cousins on the other side of the pond! Certainly, we have adopted their fast food habit. However compared with an average tea from the 1950's when I was a boy, there has never been so much food available to humans as there is today. 'It's not what you eat, but how you eat', says Gill. As omnivores, we are designed to consume everything, yet we probably don't eat as much as we should in variety compared to our ancestors. We have the illusion of choice, writes Gill and the only sure, certain, sustainable and safe way to lose and maintain a healthy weight is to eat everything, but less of everything. To do this, Gill suggests that we need to free ourselves from convention and bourgeois manners - you don't have to finish what's on your plate. And we should not let anyone shame or guilt us into eating more than we want - who cares what the waiter thinks as he takes away your half-finished plate. It isn't a waste if it doesn't make you obese! 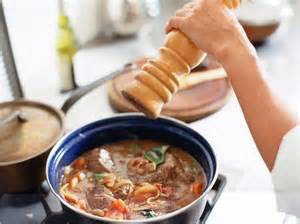 Eat things that really taste good - don't fill your mouth with bad, bland second-rate food simply because you are peckish. The best way to stay well and well fed is to make the most of your own food. The only diet you need is to make your own food. Open up you options - too many meals are limited choices between available takeaways. Make your own food from raw ingredients and eat it sitting at a table, with a knife and fork and a linen napkin. Drink from a glass. Don't have a screen on. Never eat out of cardboard or plastic. Never drink from a cup that you throw away afterwards. Never eat standing up, never eat moving. When you have had enough to eat, stop. Have the leftovers for lunch. Some excellent advice here. I shall try to follow it in 2016, Thanks Mr Gill and Happy New Year!